Betacarotene contained in the pumpkin puree softens the skin and the texture makes it an interesting shampoo bar. Heart warming oils make a unique blend with the Quebec pumpkin. 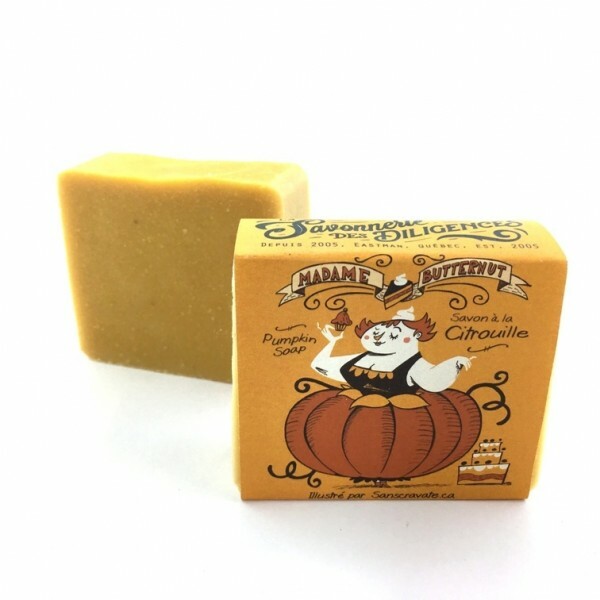 A soap that smells a good pumpkin pie, thanks to the spicy and bewitching essential oils! Ingredients: oils (olive, organic coconut, beeswax), pumpkin puree, water, sodium hydroxyde, bitter orange, blood orange, cinnamon, ylang-ylang and black pepper essential oils, rosemary extract.